50 Days & 50 Ways to have a Merry Recycled Holiday | It's the thought that counts, not the waste. Have yourself a merry thrifty holiday! Here at 50 Days & 50 Ways to have a merry recycled holiday, we believe that you can have a festive, generous, loving and memorable holiday season without compromising your budget and your beliefs. 50 Days & 50 Ways isn’t about skimping; it’s about being thoughtful and considerate of not creating waste and of creating an atmosphere of respect for the occasion and your loved ones. Read more about who we are. Follow us every day until December 25 ( sign up on the left for posts delivered into your email) and Happy Holidays to you and yours! After all, it’s the thought that counts… not the waste. Posted in Spread the Cheer | Tags: freedom | Comments Off on Have yourself a merry thrifty holiday! pass the old one on. Pass it on. A friend, neighbor, neighbor’s kid? Relative or co-worker? Try posting a note at work or your community center, or visit freecycle.org if no one comes to mind. My old kayak is now part of the Girl Scouts’ fleet. Donate it. Of course, the obvious choice is your favorite non-profit charity’s thrift store, where they turn donated goods into support for their cause. But don’t overlook other charities. Would a senior living center or elementary school be able to use your old computer? Verizon offers used phones to domestic violence victims. Got a new recliner? The old one can be turned into cash for your church’s food pantry, turned into job training via Goodwill’s stores, or a bed and warm meals when the Salvation Army sells it. Resell it. If there’s not a specialty-electronic resale shop in your area, try an online buyer like Gazelle , NextWorth or My Bone Yard. Sell the jeans that have been supplanted by new ones to a buy-outright shop, or consign last year’s favorite toys to make room for the new favorites. Recycle it. Dispose of items thoughtfully. If you’re unsure how to trash something, call your local government. More than likely, they have a web site or brochure telling you how to do your part to keep the world green and safe. Would you like to see how your neighborhood professional resaler decides where to donate unsaleable goods? Take a peek behind the scenes at TGtbT.com’s Pass it On page. and may all your Christmases be green. Posted in Celebrate! Recipes and Party Ideas, Spread the Cheer | Comments Off on Merry Christmas! Stop. DO NOT go to the mall today. If you’re seeing RED over Holiday Overindulgence and the damage it’s doing to your budget, do not, I repeat do NOT venture anywhere near a mall or a Big Box today. Okay, you need a few more little gifts. Well, go GREEN. Do it the eco-way… which is also the loving-friend/parent/child/aunt way. Figure out what the recipient of your present-giving truly wants. An afternoon at the museum with you? Your undivided attention on a walk in the woods? Your famous BeansNWeenies on demand some gloomy day in January? Now write a nice note promising same, and buzz on over to a consignment, resale, or thrift shop to pick up an appropriate container for your note (an Oriental jar? teapot? candy dish? wallet? basket? casserole dish? ), and you’ve gone green and given that person just what he or she wants… something only you can give! Posted in Gift Ideas, Spread the Cheer | Comments Off on Stop. DO NOT go to the mall today. Need some gift-wrap ideas fast? These suggestions from Penny’s Day Book are perfect. And earth-friendly. And they probably do not require you to make a trip to the Big-Box drug store at 11pm in your slippers. The photo is from earth911.com. Show them some love… quick as Santa sliding down the chimney! Posted in Celebrate! Recipes and Party Ideas | Tags: < $10, cooking | Comments Off on Show them some love… quick as Santa sliding down the chimney! Pretty paper & tags that don’t cost the earth. Okay, so you’re not like my husband who wraps gifts in the comics section of the paper. You want pretty. You want “real” gift tags. Posted in Gift Ideas | Tags: gifts, wrapping it up | Comments Off on Pretty paper & tags that don’t cost the earth. 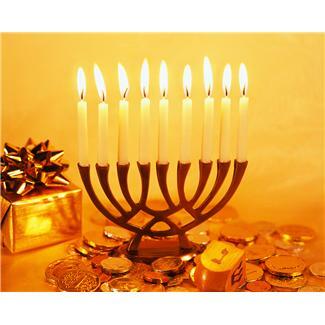 Hanukkah is the most widely celebrated American Jewish holiday, possibly because it is a fun, child-centered occasion. It is celebrated with excellent food, an exchange of gifts, and the lighting of beautiful menorahs (special Hanukkah candelabras) filled with brightly colored candles. Unlike some of the other Jewish holidays, which require intense spiritual reflection or elaborate preparation, it is easy to celebrate. Many Jewish holidays commemorate events invested with historical and religious meaning, and Hanukkah is no exception. Hanukkah means “rededication,” and it commemorates the rededication of the Temple in Jerusalem after its desecration by foreign forces. The celebration also reaffirms the continuing struggle to live by God’s commandments and to lead Jewish lives. The Wikipedia entry on Hanukkah. Other holidays around this time include Kwanzaa. Then there’s Festivus, birthed by a defunct TV show. And our Brit-descendent friends get to have Boxing Day as well. Then there’s Three Kings Day, St. Lucia Day, Winter Solstice, getting your toenails done for New Year’s Eve… well, seems like December is the time to celebrate! Posted in Spread the Cheer | Tags: tradition | Comments Off on Happy Hanukkah! What to get for Dad or Grandpa? Fathers are the hardest people to find gifts for, aren’t they? They either have everything already, or what they want is so specialized that you dare not pick it out yourself. And it seems downright weird to give your father a gift card, doesn’t it? 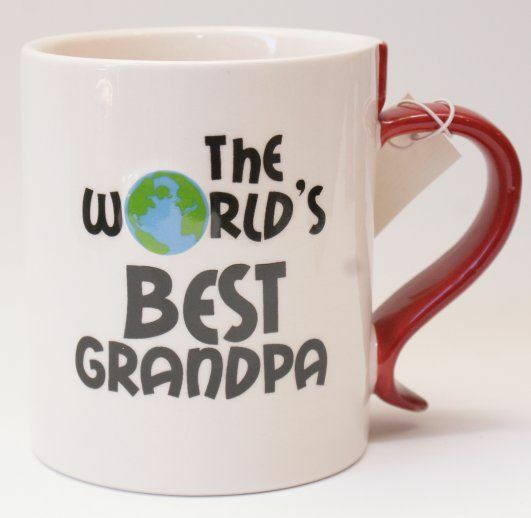 Posted in Gift Ideas | Comments Off on What to get for Dad or Grandpa? Give a holiday gift to your town. Your holidays can be special and frugal… and help your community be stronger. Did you realize that you can help your town recover from challenging economic times? Preserve and protect your town by shopping for the holidays locally. What better gift to give the community where you and your family live, than by supporting it with your shopping dollars? What does this involve? Buying from your neighbors. The locally-owned pet-supply store you rely upon for the unusual things or the special order you need: shop his store, too, for the standard stuff that you might otherwise pick up at a Big Box store. After all, Gertie the Gerbil would miss her little maple-flavored treats if your neighbor’s store couldn’t survive. Shop Locally to Keep your Wallet Local. Yes, sometimes (but not as often as you think) you may pay a little extra because Amy Flo’s Floral Shop pays more for its holly wreaths than MallMart does. That’s a fact of life. But think of it this way: the extra 3 or 7% you spend at Amy Flo’s will keep your town viable economically. Consider it an investment in Main Street. And what of us who don’t live in the postcard-perfect little town…or whose little town died a shopping death long ago, thanks to huge retailers who call your town Store #3482? Take the time to search out locally-owned enterprises. Shop the Christmas-tree farm out on the national road, or do your gift-buying in the museum shop or the Friends of the Library sale or a church’s holiday bazaar. And while you’re shopping locally, you’re also saving time and gas, meeting your neighbors, making contacts, and supporting your neighbors. And imagine the memories you’re making for your children (and yourself): That’s where we always buy our tree, from Mr. Overalls… the lady at the meat market always gave us a candy cane… As we say over at HowToConsign.com, a Merry Thrifty Christmas to all! It’s kinda “save the earth” as your Christmas gift to all…one neighborhood at a time. A version of this post, addressed to resale shopkeepers, originally appeared in Auntie Kate the Blog. 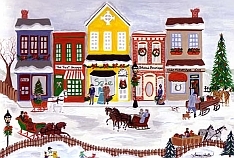 Posted in Spread the Cheer | Tags: tradition | Comments Off on Give a holiday gift to your town. The perfect gift for someone who thinks used is icky.